A very big thank you to everyone who made our show possible. The reception was a huge success! Thank you to all who brought a dish/bottle of wine. 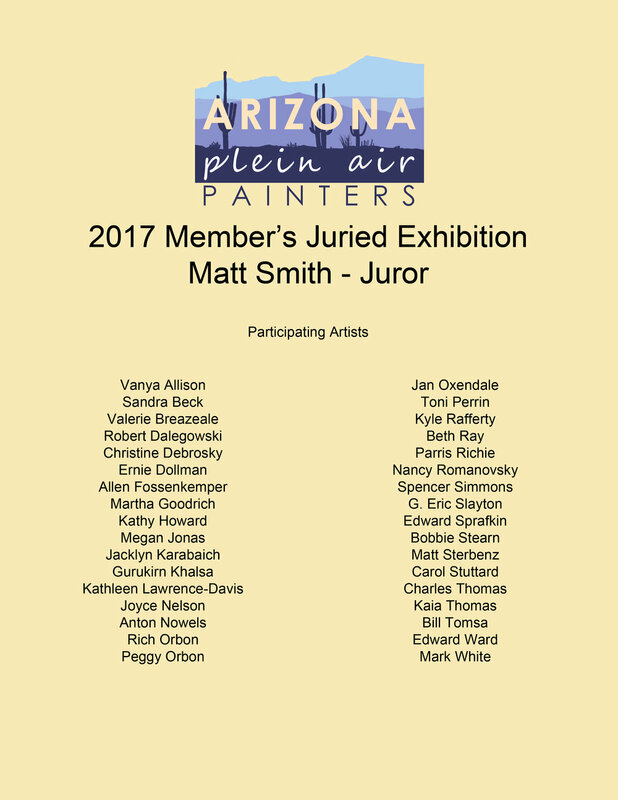 Thanks to our sponsors: Scottsdale Artists School, Gamblin, SourceTek, RayMar, Blick Art Materials, and especially to our judge Matt Smith. 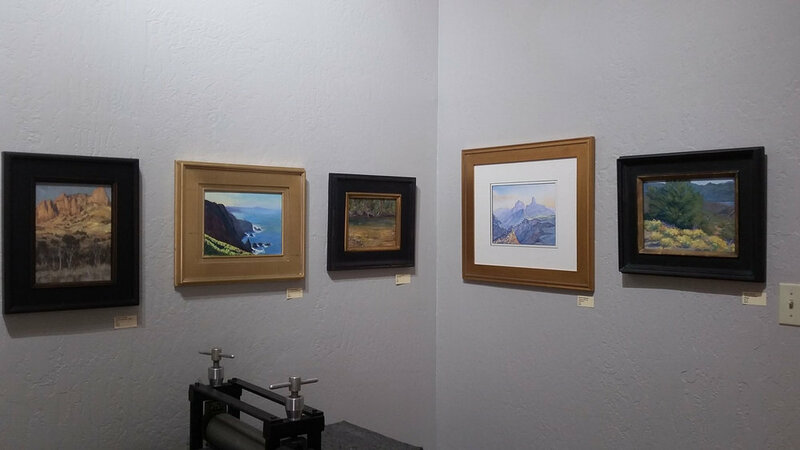 Scottsdale Artists School has generously offered to provide a discount on a future workshop to all of our members who were in the show. Best of Show: Ernie Dollman "Country Road"
2nd Place: Charles Thomas "Summer Storms at the Triangle T"
3rd Place: Kathy Howard "Sonoran Spring"
President's Choice: Edward Sprafkin "New Beginnings"
Honorable Mention: Toni Perrin "Best Buddies"
Honorable Mention: Spencer Simmons "The Empty Lot and the Shack"
Honorable Mention: Kyle Rafferty "Agave's View"
I have not attended the prestigious art schools, I have attended the school of hard knocks and dropped out. I found it much easier to study the written word of other well known artist and to attend their workshops when offered, putting into practice what they had to say in the quiet of my studio. I might add many famous painters of the past have followed a similar path. Edgar Payne and Vincent Van Gogh come to mind. Second Place: Charles Thomas "Summer Storms at the Triangle T"
In 1999 Thomas left the advertising world to devote his energies full time to fine art. Since that time, his work has been recognized by the Scottsdale Artists School in their Best and Brightest Competition following a 2002 workshop, and by the Oil Painters of America and most recently the American Impressionist Society as a finalist in their national juried competitions. His work hangs in numerous private and corporate collections.